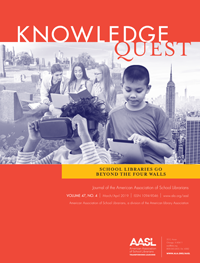 Home › Community › AASL National Conference & Exhibiton › AASL’s 2015 National Conference: Experience Education Evolution! When you think of the name “Columbus,” words like exploration and discovery are among the first to come to mind. As Conference Co-Chairs, we thought about an educational environment that is in a state of flux where change is the constant, with school librarians as proactive leaders in this evolving environment. There is a lot to explore and discover in this environment. As co-chairs, we were also challenged to think outside the box during the planning process. Both of these ideas have guided the process while we are working with our dynamic committee and AASL staff to put together a conference that we hope will bring you new ideas and experiences to explore, discover and uncover at AASL’s 2015 National Conference in Columbus, Ohio. The Conference Committee’s goal is to support you as a proactive leader in the Education Evolution by bringing you a conference that will embrace being aware of, informed about, managing, leading and assisting others with changing resources, programs, technology, methodologies, standards and teacher expectations. We want you to leave Columbus feeling that you have a strong grasp of the evolving educational environment. We also want you to feel innovative, invigorated, inspired, excited and ready to stretch old boundaries and instill new energy into your school library program. During the planning process we also are looking at the connection between evolution and revolution. School librarians are not passive in this changing system; we are strong and informed advocates for students, teachers and learning. The Opening General Session each day will feature thought leaders in education. Heidi Hayes Jacobs is a leading expert and innovator in the areas of curriculum and instruction. She will open the conference on Thursday. The Friday morning general session “Administrators Empowering School Library Programs“ will be a panel discussion supported by Follett. The Saturday morning general session will feature “The Power of the School Library” with Brian Selznick, the author of Hugo Cabret and Wonderstruck. Selznick has a new book coming out in time for our conference. The closing keynote on Saturday afternoon features Eszter Hargittai whose research looks at the concept of the digital native as a myth. The pre-conference and conference sessions are being carefully selected with the conference goals and your needs as well and will feature over 120 sessions to choose from. A huge benefit added to registration this year is that you may bring your administrator as an add-on complimentary registration to learn with you side-by-side. As conference planners, we want administrators to leave with a clear picture of school librarians at the forefront as a confident, willing, comfortable and nimble vanguard that is ready to take on Education Evolution. With that goal in mind, the conference committee is working to make sure administrators find this a rich, relevant and invaluable learning experience. As we plan, we are working to build on the best of past conferences and we are looking for ways to give you the most value for your investment. The IdeaLab (previously IDEAxCHANGE) is expanding beyond previous years to offer a high-tech showcase on evolutionary practices in our field. The IdeaLab will feature learning stations with large screen monitors showcasing best practices in topics related to the education evolution. To maximize networking we are highlighting affiliates and regions by providing opportunities for you to meet and network with others from your state and region. We are also playing with some fun networking ideas that you’ll soon hear more about. The conference is using a robust new social media platform called Rebel Mouse that will aggregate all conference information in one place. Visit https://www.rebelmouse.com/aasl15/. The conference hashtag is #AASL15. This year’s UnConference is being organized by Joyce Valenza, with some new twists and some late-night games. 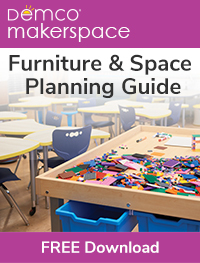 A makerspace area is currently under development as well—be on the look out for more information. Our Local Arrangement chairs have assembled exciting preconference tours that highlight an array of innovative and unique library programs and some fun Columbus locations. Audio Books: How Do Dynamic Narrators Capture Their Listeners? The Author Meet & Greet will also be offered again this year. This “speed-dating” author event is supported by the Junior Library Guild. Saturday night we will celebrate conference with an event that is uniquely Columbus. We are excited to announce that the Closing Celebration will be held right across the street from the Conference Center at The North Market. This unique location is more than a market, it is a community meeting and event location. There will be music, food and other special treats on Saturday night. “When I think about the AASL Conference, I think of being challenged by new ideas, of being invigorated by new possibilities and of spending time with new and long time professional friends. 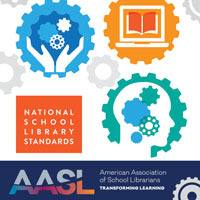 The AASL Conference never fails to open up the world of changing resources, programs, technology, methodologies, and standards for my practice, and I take them home to my collaborating teachers and my students. When will the concurrent sessions be listed on the conference website? They don’t seem to be up yet. The concurrent sessions will be added to the conference website before the end of the month.